Co-written and first recorded (as a demo) by Barry Mann (1961). Hit versions by The Paris Sisters (US #5 1961), Jimmy Crawford (UK #18 1961), Paul & Barry Ryan (UK #21 1966), Bobby Vinton (US #9/MOR #2 1968), Lynn Anderson (C&W #18 1979), Glen Campbell (C&W #17 1983). 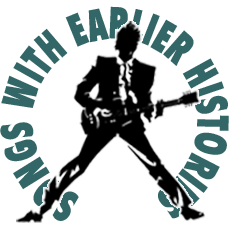 From Songfacts.com: “‘I Love How You Love Me’ was written by Barry Mann (‘Who Put the Bomp’, ‘Venus in Blue Jeans‘, ‘We Gotta Get Out of This Place‘, ‘Never Gonna Let You Go‘) and Larry Kolber, and first recorded as a demo by Mann in 1961. According to Rich Podolsky’s book Don Kirshner: The Man with the Golden Ear, Kolber’s post-military career (he had been a journalist for Stars & Stripes) found him, first, a whiskey salesman and, then, after a casual encounter, a budding lyricist – an unpredictable twist. It was while having lunch at a cafe on Manhattan across the street from Aldon Music that Kolber literally jotted down on a napkin the lyrics, in minutes, to ‘I Love How You Love Me’! Kolber went across to Aldon to look for someone to set his lyrics to music. Barry Mann happened to be in the Aldon offices just at that moment, and it was he who set Kolber’s lyrics to music. “Tony Orlando was originally slated to sing it, but Phil Spector happened to drop by and asked for the song for one of his girl groups. Kolber was disappointed, thinking that he’d lost a shot at fame without Orlando’s voice. Co-written and first recorded by Albert Hammond (1975). Also recorded by Bobby Vinton (1980). Hit version by Julio Iglesias & Willie Nelson (US #5/C&W #1/UK #17/CAN #4/AUS #1/NZ #2/SPN #2 1984). From the wiki: “‘To All the Girls I’ve Loved Before’ is a song written by Hal David (former lyricist for Burt Bacharach; ‘Do You Know the Way to San Jose’, ‘Alfie‘, ‘Raindrops Keep Falling on My Head’, ‘One Less Bell to Answer‘) and Albert Hammond (‘The Air That I Breathe‘,’When I Need You‘). It was originally recorded in 1975 by Albert Hammond for his album 99 Miles From L.A., but his song became most famous nearly a decade later with the 1984 recording by Julio Iglesias and Willie Nelson, which appeared on Iglesias’s album 1100 Bel Air Place. First recorded by Four Voices (1960). Hit versions by Brian Hyland (US #3/UK #3 1962 |UK #7 1975), Gary Lewis & The Playboys (US #11 1968), Bobby Vinton (US #19 1972), Jason Donovan (UK #1/IRE #1/AUS #8/ 1989). From the wiki: “‘Sealed with a Kiss’ is a song written by Peter Udell and Gary Geld. It was first recorded by The Four Voices in 1960 as a single, but their recording was not a hit.